Welcome to the 8th Friday Follow hosted by our awesome hostesses, Heather & Jessica from Saving Money and Living Life, Tami from Hearts Make Families, Harriet from Harriet and Friends, and Ian from The Daily Dose of Reality. Thank you everyone for being willing to host! Please stop by and see these awesome host/hostesses. We invite you to join us every Friday to get more blog followers and to find many interesting blogs that you like. This is all about sharing and having fun. This list is new each week and closes on Saturday at 11:59pm EST. The links do not carry over. Please link up each week for new participants to find your blogs. It will be visible all week to visit the blogs listed. Congratulations to our Three Friday Follow Winners!!! Each week we will randomly draw from three (3) blogs from the links for the next week’s Friday Follow, and each blog chosen will be placed in the highly coveted number #7, #8, and #9 position on the blog hop. The first blog chosen will also be given the option of doing an interview which will post on Friday-Follow.com on Thursday the next week. We love your participation and want to give back to you! You could be next! Today's Friday-Follow is sponsored by The Twinners Reviews & Giveaways. The giveaway prize is a package with assorted Avon goodies (body wash, perfume, etc.) This is for US residents . Visit our sponsor and check out their reviews and giveaways for the whole family. Everything from jewelry for mom to cloth diapers for baby to soda for dad. As they're nearing 500 Google Friends, they're sponsoring today's Friday Follow to help them get there! The big winner of this week's Friday Follow will win an Avon prize pack containing body wash, jewelry, makeup and lotion. If you like Avon, we KNOW you will love this! Pop on into The Twinners and you'll be treated with some awesome giveaways. Who knows, you might just win! Want to advertise on our site and be seen by thousands of people? If you sign upTODAY Advertising is $5 per spot. You must sign up today to qualify. This offer expires at midnight CST. Ads normally cost $10. Find out more information. Also! Join us for our new weekend comment club! Thanks so much for your support and Happy Commenting! Hi! 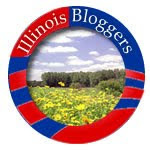 I am blog-hopping from Friday-Follow and am a new follower. Enjoy the weekend! Hi.. i am now your new follower...hope you can follow me too. Hi! I know I'm late, we went out of town on a last minute trip. I am your newest follower from Friday Follow!